Thanks - postcard, a photo by eatzycath on Flickr. 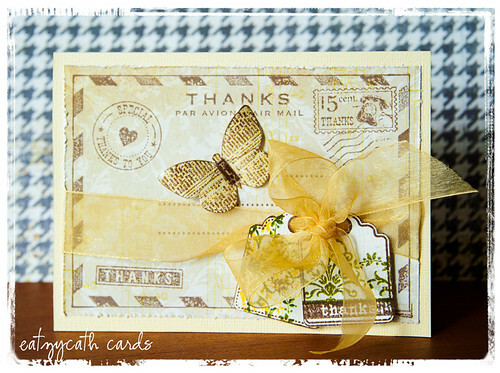 a thank you card for LZ's mum - to thank her for encouraging me with her gift of a scrapbooking kit .... bless her! This was made using Hero Arts "Thanks Postcard" cling stamp and Hero Arts "Little Tags" stamps. The centre butterfly was stamped, cut, curled and then applied with Inkssentials Glossy Accents.